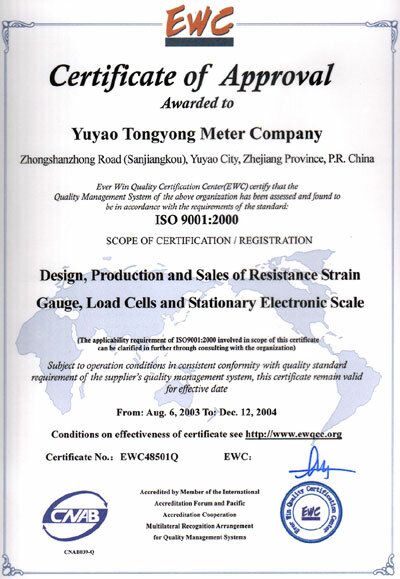 Company Overview - Yuyao Tongyong Meter Co., Ltd.
15YRSYuyao Tongyong Meter Co., Ltd. 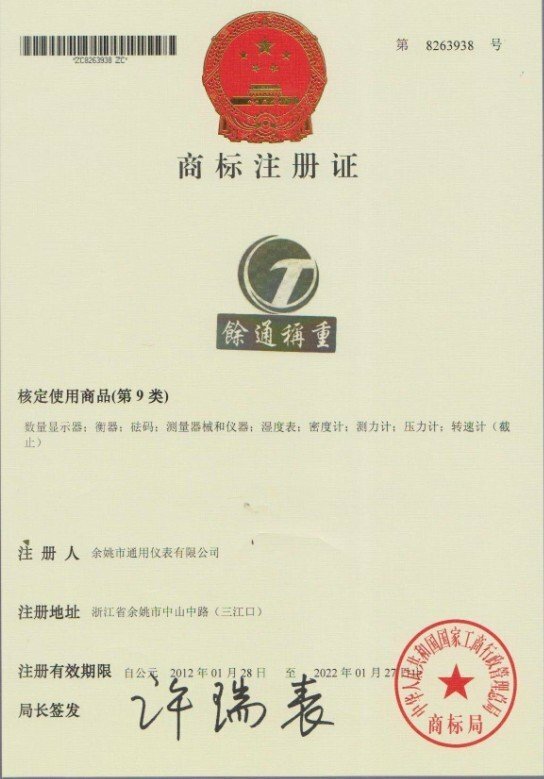 The 20 Anniversary from April 9th to 12thEstablished in 1993, Yuyao Tongyong Meter Co., Ltd. manufactures weighing load cells, electronic weighing apparatus and tachometers. Although we are popular domestically, we export most of our products to regions worldwide. We export 100 Million US $ worth of products annually. Our company covers 12,000 square meters. We employ more than 200 people, including 10 professional engineers. Because of the precision that our products require, we go to great lengths to ensure that they have no possible defects before we sell them. 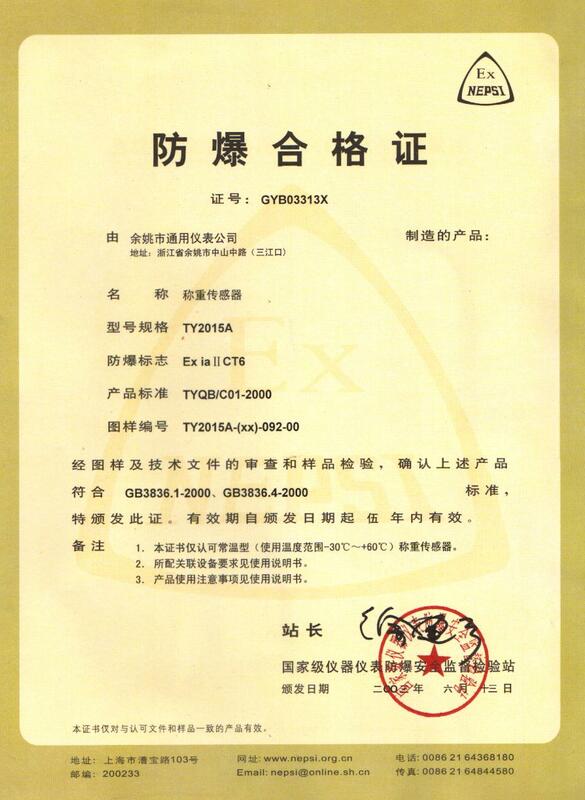 Also, we are an ISO9001:2008 certified company, and our products meet the global quality standards. We are constantly expanding our supply line and perfecting our products. For more information, please visit our website or contact us directly with your questions or inquiries. 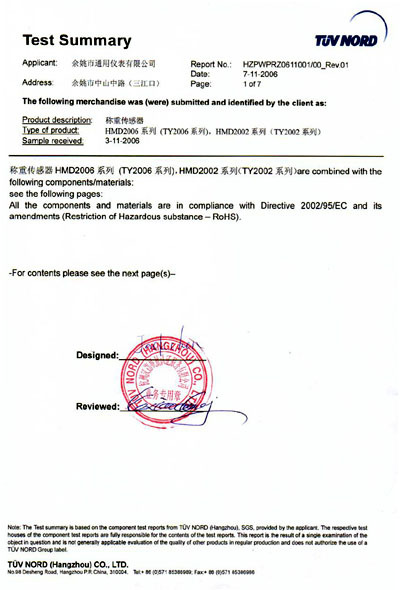 Issued by SIPAI Inspection and Testing Institute of Instruments and Automation Systems. Normal atmospheric temperature weighing sensors. 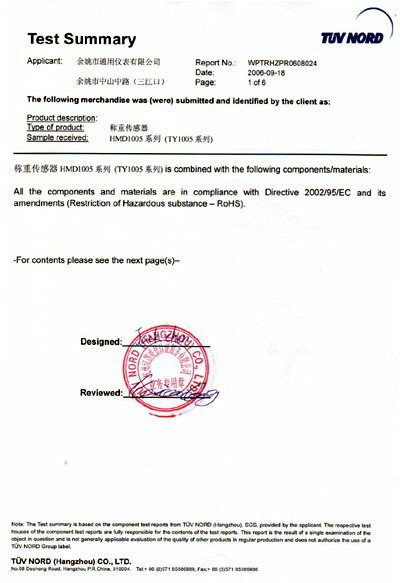 Issued by Ever Win Quality Certification Center (EWC). Design, manufacture and sale of resistance strain gage load cells and stationery electronic scales. 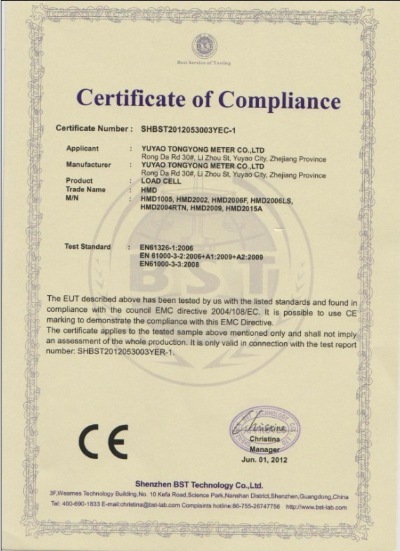 Issued by Ever Win Quality Certificate Center. 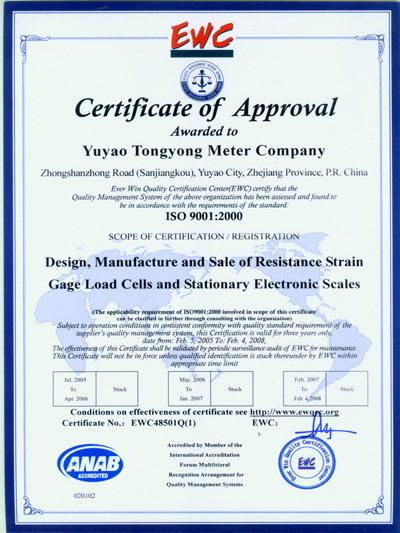 Design, production, and sale of resistance strain gauge, load cells, and stationary elctronic scales.